Sigmund Freud likened the mind to an iceberg. The conscious part of the mind, which contains the thoughts we are aware of, is like the tip of the iceberg. The bulk of the iceberg, beneath the water’s surface, represents the unconscious mind. The unconscious mind contains the thoughts we cannot control and of which we are completely unaware. However, Freud theorized that the unconscious mind reveals itself in dreams. The idea of the unconscious is the basis of Surrealism. The Surrealists believed that ignoring the unconscious mind was harmful to society. They wanted to release the suppressed thoughts and feelings of their unconscious. 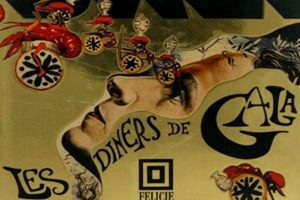 Influenced by Freud, the Surrealists looked to their dreams to uncover these ideas, and they used art and writing to express what they found. 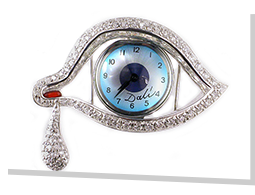 The Surrealists found that waking dreams could be more vivid and more powerful than our usual sleeping dreams. Reality becomes distorted and hallucinatory. In waking dreams, you don’t fully fall asleep but are somewhere between wakefulness and sleep. During this transition, the brain is more fluid, open to making connections between seemingly unrelated ideas, and consequently, can stimulate creativity. For this exhibit, we invited students to imagine what might be hidden in their unconscious minds and to think about recurring dreams, dreams from childhood, or the imaginings while dozing off. 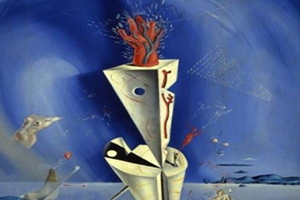 Students are asked to use surrealist techniques like transformation, dislocation and symbolism to translate these visions. This exhibit will be on view in the Raymond James Community Room. Please note that the Community Room sometimes closes for private events. Teachers looking for information about submitting artwork for the Student Surrealist Art Exhibit, please email Sarah Fornof, sfornof@thedali.org. Image credit: Pinellas County student Cassandra Anderson, “All Sales Are Final” from 2018 Student Exhibition.